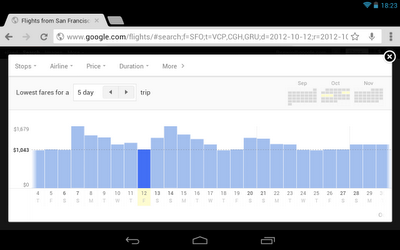 More and more travelers are using tablets to search for and book travel. In fact, 46% of all US tablet owners who search for travel, actually purchase via their tablet. We also know that people use their tablets differently than they use their desktop. 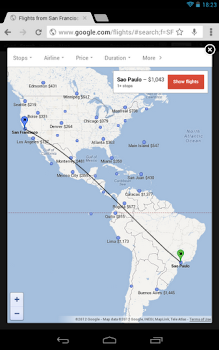 That’s why we’ve optimized our Flight Search experience for those who prefer to search with a tablet, such as a Nexus 7 or an iPad. 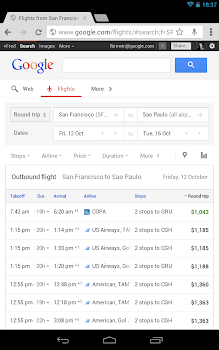 Starting today, travelers can search for and book flights on any tablet device by going to http://www.google.com/flights/. With the touch of your finger, you can easily explore places to visit on the map and see prices updated in real-time for each destination. If you’re flexible with your dates you can also use our lowest fares tool and scroll across days, weeks and months to find the cheapest dates to take your trip. Your results will be updated super-fast, even when you switch dates or destinations. We hope this makes planning your next trip easier and more enjoyable -- whether you’re using your desktop, laptop, mobile device or tablet. We look forward to your continued feedback on Flight Search.